I'd recommend this to anyone who has ever enjoyed any vampire story. Honestly, I read this book about a quarter century ago. I got hooked and read through about 10 or 11 of the books in this series over the course of about a decade. I stopped when I got too busy to read and started listening to audio books. 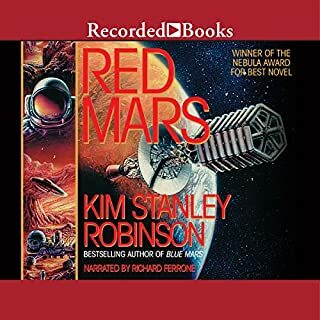 I've asked for Audible to get this series, multiple times. When it finally appeared, I grabbed it. Now I'm waiting with the hope that the rest of the books in the series will appear here. 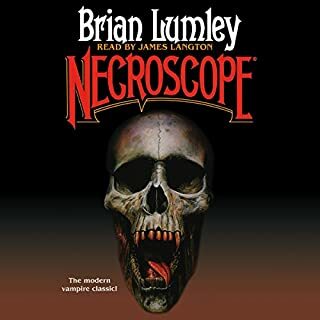 What other book might you compare Necroscope to and why? There IS no other book that comes close. This truly is the most imaginative twist on the vampire genre that I've ever found. The best part? I don't know. There are so many parts that are great, and I wouldn't want to name one, for fear of it being a spoiler. This is not only an original plot, it has a few twists and turns, the book is extremely well written, and even the narrator is fabulous. John Chase has just arrived in Atlanta on a business trip when America experiences the worst attacks in history. Nuclear bombs destroy cities and the widespread release of nerve gas sends the majority of the surviving population into a murderous rage. 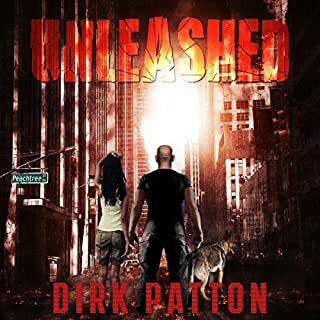 Rescuing a woman who survived the attacks he must lead her to safety as Atlanta burns, raging infected roam unchecked and society disintegrates into savagery. Yes. Bought it on sale and had low expectations. I found myself really enjoying it. What was one of the most memorable moments of Unleashed V Plague Book One? Dog. You've got to love a plot where a dog plays a role. It was well read. Reminded me a bit of Scott Brick. I love this genre. Loved Ben Bova's story of Mars. Bought this because it was a Nebula Award winner. Must be good, right? This story went nowhere. It was a longwinded description of people living on Mars. Nothing much happened, except for a little anti-terraforming plot that was anti-climactic. There wasn't even much in the way of character development in all those hours of nothing.